The Shure Model WCM16 headworn electret condenser microphone is intended for wireless use by performers, lecturers, and others who require the highest quality voice pickup with maximum mobility. Its wide frequency response, low RF susceptibility and reliable operation at temperature and humidity extremes make the WCM16 suitable for virtually any vocal application. When used with Shure bodypack transmitters, the performance of the WCM16 closely resembles the finest conventional vocal microphones. 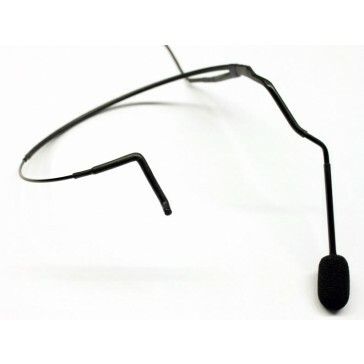 The Shure Model WCM16 headworn electret condenser microphone is intended for wireless use by performers, lecturers, and others who require the highest quality voice pickup with maximum mobility. Its wide frequency response, low RF susceptibility and reliable operation at temperature and humidity extremes make the WCM16 suitable for virtually any vocal application. 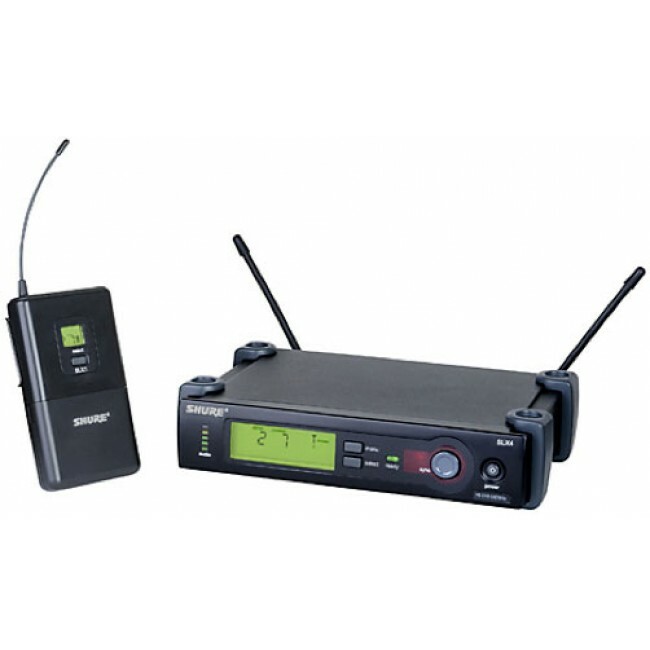 When used with Shure bodypack transmitters, the performance of the WCM16 closely resembles the finest conventional vocal microphones. Miniaturized active circuitry included in the cartridge assembly provides equalization that tailors the low-frequency response to resemble the warm proximity effect of larger vocal microphones. Because of this low-end response, it is not necessary to position the microphone directly in front of the mouth, thus avoiding much popping and breath noise, even without the included foam pop screen. The microphone's hypercardioid unidirectional pickup pattern provides maximum isolation from ambient noise and from adjacent sound sources such as musical instruments, loudspeakers and other performers. This permits higher gain-before-feedback without loss or masking of vocals.